At the day-long conference, Bordeaux in America: The Climate Disruption, four academics detailed the ways in which the climate has changed and will continue to change, as well as the implications for the North American wine industry. They claimed that within 30 years, many vineyard locations within Napa Valley will simply be too warm for Bordeaux varieties, Cabernet Sauvignon in particular, to grow as a luxury crop. Read the entire article at Wine Business. The four academics and Doug McKesson, general manager at Enologix, presented different facets of the problem. They are Dan Cayan, research meteorologist, Scripps Institute; Greg Jones, professor and climatologist, Linfield College; Daniel Sumner, director, UCD Agricultural Issues Center; and Elizabeth Wolkovich, University of British Columbia and Harvard University. 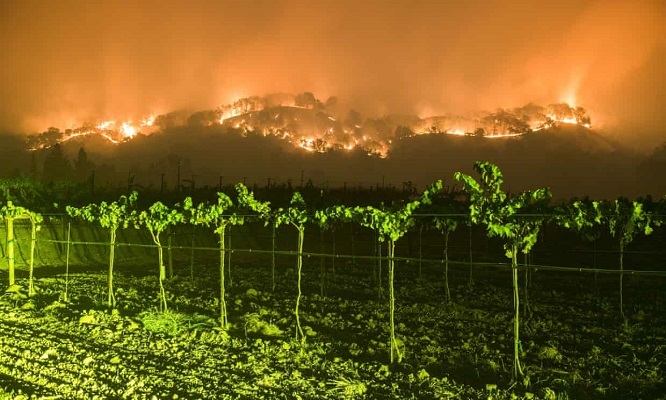 The latest on climate change research and its implications on the future of viticulture and the wine industry, as well as on the planet, will be discussed in March at the Climate Change Leadership Conference. The two-day conference, keynoted by former Vice President and sustainability advocate Al Gore, will highlight practical methods to reduce carbon emissions and mitigate the effects of the changing climate.